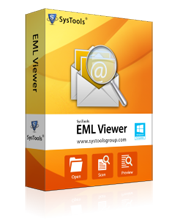 The most reliable way to view EML files is with the help of "EML viewer". 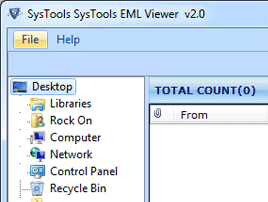 It is free EML viewer software which allows you to open and read EML files. 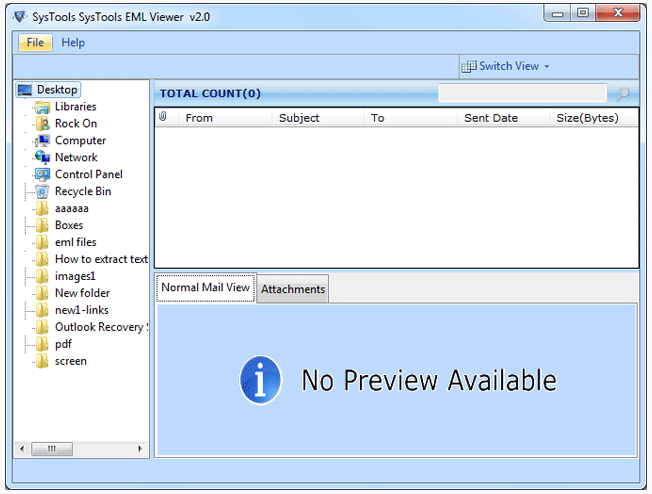 It can open and view EML files without Outlook. 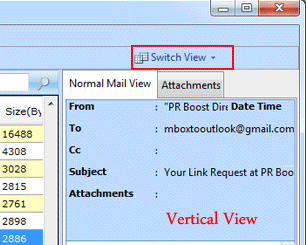 Inbuilt option to Auto Locate and Load emails. Previews of all items with their attachments. 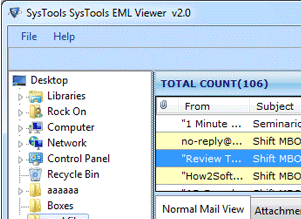 Option to search within EML e-mails. Preview of Attributes like To, cc, bcc, subjects etc. Option to switch view mode. 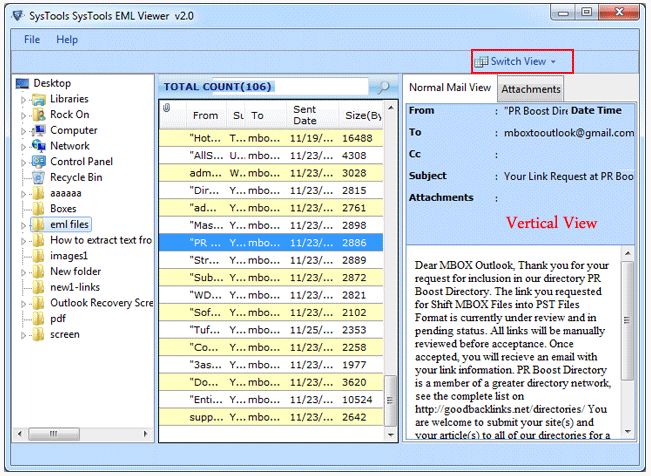 View EML files in MS Outlook like style interface with the updated version. Export Selective EML files and Folders. Run the free EML viewer. You will see all files and folders loaded in left panel. Click on the desired EML file. Once the file is loaded, you can click on the desired EML file. It will show you the preview of that file. Other than free Outlook EML Viewer there are more freeware products in the store, have a look and select the one that suits your need! 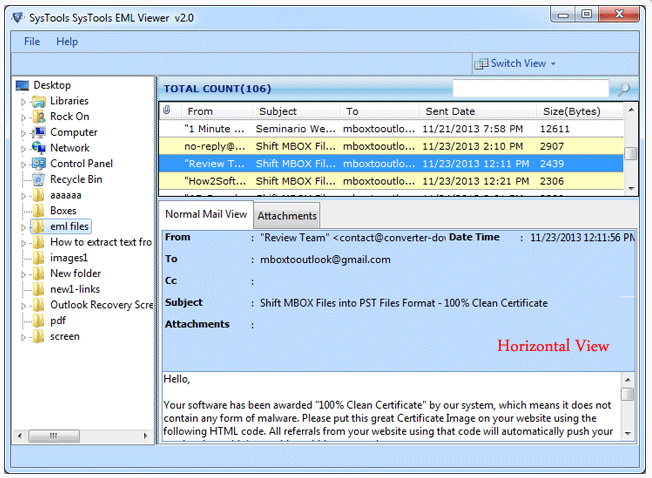 The EML viewer tool really helped me to view and read EML files of Windows Live mail. 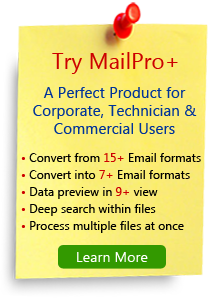 The software is absolutely free for viewing emails and paid for exporting them to PDF format. Excellent support provided by your Tech expert team in the operation of the tool. I am thankful to the entire team for making my task easier.